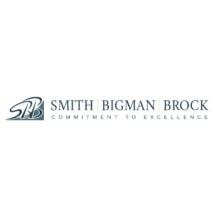 The members, past members, associates & staff of Smith, Stout, Bigman, & Brock, P.A. (Smith Bigman Brock), have been an integral part of the legal and business community for several decades, and assumed leadership roles in the community, in the legal arena, and in the judiciary. We practice at every level of state and federal courts and before all administrative and governmental agencies. Gathering an association of responsive, skilled lawyers dedicated to providing professional and cost-effective services. Maintaining a strong community presence as officers and directors for many of the most recognized community organizations. Developing multiple areas of practice to assure breadth and depth of counsel and representation. Being keenly attuned to the business and legal climate affecting each case. Possessing the experience and the judgment to offer the best strategy to accomplish favorable results. Providing aggressive defense services while understanding the value of mediation and other alternatives to dispute resolution. Utilizing the latest technology with state-of-the-art equipment and systems to operate at peak efficiency. The firm of Smith, Stout, Bigman, & Brock, P.A. is rated "AV" by Martindale-Hubbell. This rating indicates our achievement of the highest ranking for legal ability (A), as well as the highest ranking for ethical standards (V). One of our strengths is the depth and breadth of our services. We recognize that many individuals, and certainly nearly every business, will face multiple legal issues through the years. By offering a broad range of practice areas, we ensure that once our clients establish a relationship with us, they do not have to look elsewhere for their future legal needs. In today's legal environment, matching your needs with the correct law firm is crucial to a successful outcome. You deserve quality legal representation in a variety of legal matters which only a full service law firm can provide. We commit to excel in our individual areas of expertise to provide our clients the full benefit of our knowledge, ability and effort. We would welcome the opportunity to speak with you in person.